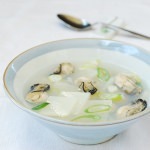 Bukeoguk (북어국) is a soup made with dried pollock (also spelled pollack). 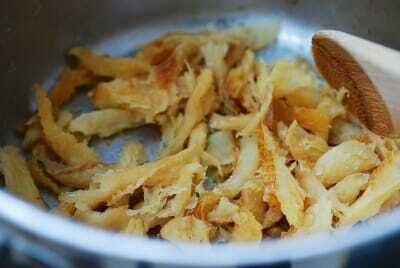 Depending on the process used to dry the fish, dried pollock is usually called bukeo (북어) or hwangtae (황태). You can use either one for this soup. Dried pollock keeps well for a long time and can be rehydrated very quickly by soaking it in warm water. Keep a bag of shredded bukeo (or hwangtae) in your pantry. It comes in handy for a quick soup or side dish. 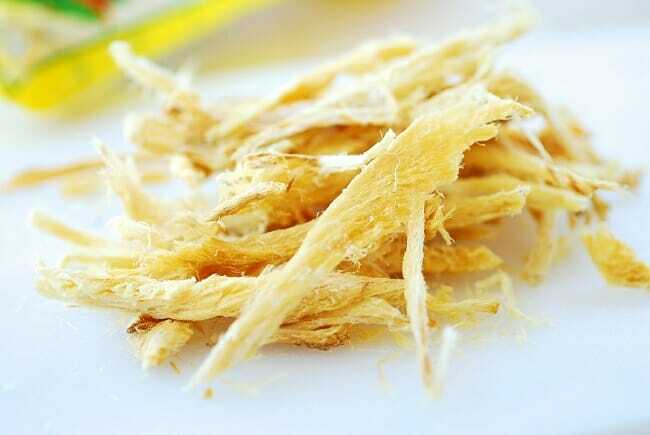 Dried pollock is a rich source of proteins and amino acids and is known to have detoxifying and soothing effects. 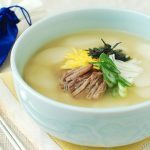 This explains why bukeoguk is very popular as a hang-over remedy in Korea. 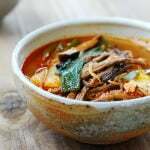 The unique flavor of the dried fish makes the soup very flavorful but not fishy. 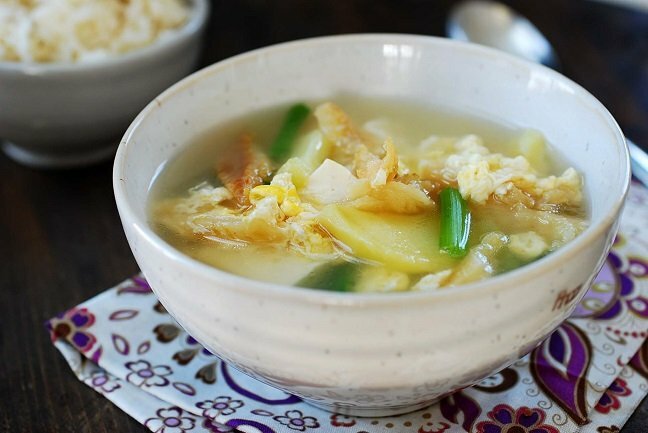 Despite the simplicity of the dish, bukeoguk (with tofu) was one of the elaborate menu items served to President Obama at his luncheon with the South Korean President, Lee Myong-bak, during his visit to Seoul in 2009. The soaked pollock is first sautéed in sesame oil. This step helps bring out the flavor of the dried fish and makes the soup taste richer. 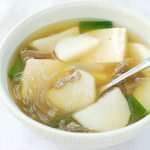 You can make it simply with eggs and scallions, but it’s very common to add Korean radish, potatoes, soybean sprouts, and/or tofu. Bukeoguk is a quick and easy soup that’s perfect for cold winter days! 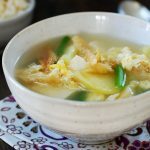 A quick and easy Korean soup made with dried pollock (or pollack) - bukeo! 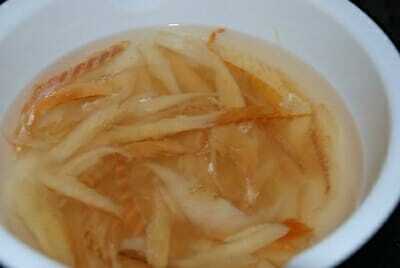 Rinse and soak the dried pollock strips in warm water until softened, about 20 minutes. Drain, reserving the soaking water. Lightly squeeze out the water, and tear the strips into bite size pieces. 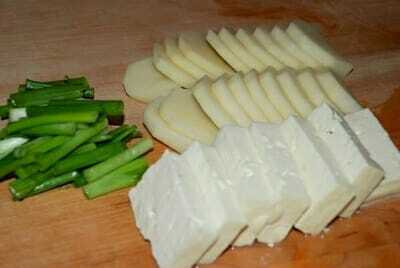 Cut the potato in half lengthwise, and slice into half-moon shapes. Cut tofu into 1/2-inch thick bite size pieces. Cut the scallions into 1-inch lengths. Add 6 cups of water, including the water used to soak the pollock, and soy sauce to the pot. Bring it to a boil, covered, and continue to boil for 7 to 8 minutes. Add the potatoes, tofu, and garlic. Cook until potatoes are cooked, about 5 minutes. Salt and pepper to taste. Reduce the heat to medium low, drop the scallions in, and gently drizzle the beaten egg over the boiling soup right before turning the heat off. 안녕하세요. Your recipes are very simple and comfortable to make. I just arrived in korea 3months ago and i find it hard thinking about what to cook for my husband since i used to cook Philippine foods…so now, its a lot easier for me. Hey Chin – That’s awesome to hear! I’m especially happy to see your comment on this post. You see I posted this recipe in December 2009. You’re the first person to comment! Thank you so much! It means a lot to me to hear I can be helpful to someone like you who’s starting a new life in Korea. As an immigrant myself (to America in my case), I can certainly relate to you. I wish you the very best with your new life in Korea! Hi! Just wanted to thank you for writing this blog. Love your recipes. I just made this bugeoguk a couple of days ago. I was uncertain if I would like the potatoes in there, but I really loved it…and so did my 3 little boys and hubby. 🙂 Thanks! Reading this from the other side of the country! Hi Eve – That’s awesome! I didn’t think that bukeoguk is necessarily a kid-friendly soup. So I’m especially happy to hear that your three little boys love the soup! Thank you so much for letting me know!! Say hello to all your boys for me! I am so excited to try this dish as I have wanted to try Korean food. Soup is such a homey food and fairly easy to make. I appreciate you making your home cooked recipes available to others. Gumsamnedah! Thank you so much for sharing your home cooked recipes with us. I love immersing myself in other cultures. So, whenever I see an authentic recipe/food, I want to try it. 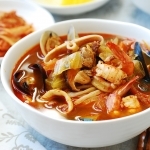 Besides, the soups and side dishes look so warm and homey in all of the K dramas that I watch. Gumsamneedah! Thank you for the recipe. I’ve made this twice now, and always it’s comforting and soothing. I don’t need to be a drinker to see why it is a haejangguk 해장국. I know what you mean. I’m not a drinker, but love this soup for being comforting and soothing. Thanks! 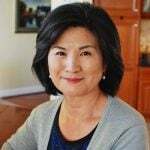 Hi, i love all your recipes. 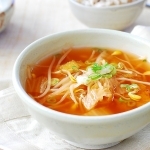 I am so excited to try this bukeoguk soup recipe. 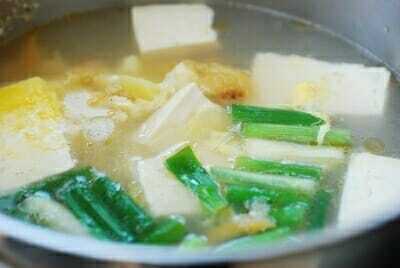 I also wanted to ask you that if i can also use the beef bone soup as the base water for this bukeoguk? And how would it change? You can if you want. I think it would be a quite different soup in terms of flavor and appearance. But I’m sure it will taste good in a diff way. This is such a simple and cozy recipe for a cold day. Really enjoyed this and it was quick and easy to make. Thank you, Amber! It really is quick, easy and delicious! I’m so happy to hear you enjoyed it!